Is it something naturally bestowed upon us with age? The product of acquiring a series of advanced degrees? Maybe it’s the result of having been initiated into a special secret society? It’s not necessarily any of these things, although for you it could be a combination of all three! 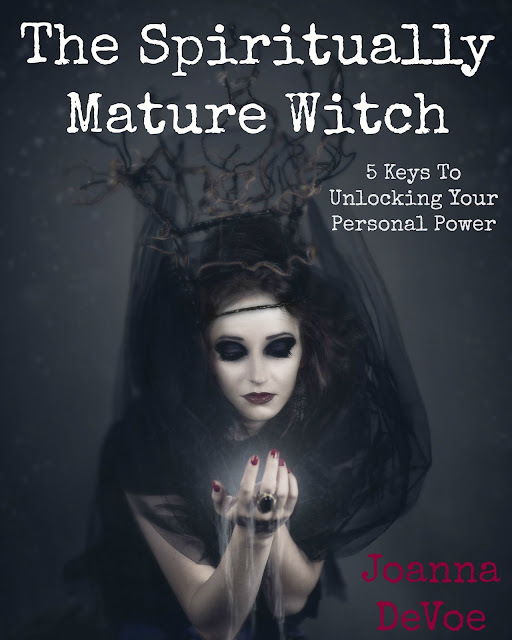 One of the many hallmarks of a spiritually mature witch is a focus on generating Power Within vs Power Over. When a witch uses magick in an attempt to gain power over other people, situations or things, his sense of and connection to his own birthright as a magickal being is not fully developed. It is immature. That is not to say his magick will not work. For his sake, it might be better if it didn’t, but even magickal disasters have their lessons to be learned, lessons that, if taken to heart, will eventually lead to maturity. Such disasters might manifest as a career that leads to feelings of prolonged emptiness, an ill-fitting relationship, unwanted sexual advances, unexpected debt or responsibility, uncomfortable attention and a gaggle of seething frenemies. The good news is that there’s an easier way to go about it. You don’t have to learn your lessons the hard way. You can learn them mindfully and with great intention. Power Within is far superior to Power Over in every way. Power Within attracts. It allows, it flows and makes appropriate connections. Power Over attacks. It grasps and grabs and clings for dear life. Power Over is young Grasshopper sweating and swinging and kicking his way through an exhausting routine while Power Within is the Kung Fu master swiftly punching a board in two with focused precision. 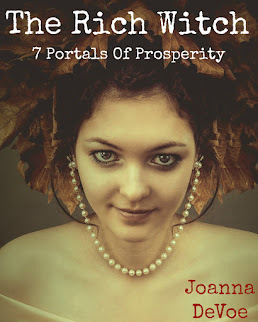 This book would have a much wider reach had I not put the word witch in the title, and I know that not everyone reading this book will identify as a witch. If you Google “spiritual maturity” most of what comes up is aimed at Christians, but spiritual maturity is not exclusive to Christians. It’s the self realization attained on any number of spiritual paths, including that of a witch. I also feel that other seekers, especially those of the New Age variety, could learn a thing or two from the wisdom attained by walking such a path. Witches have a unique way of embracing the full spectrum of human experience that is beautifully conducive to spiritual maturity and deep inner peace. We practice death and honor the shadows, knowing it is the dark that reveals the light. This is not a book about how to be a witch. The techniques presented here are applicable to anyone seeking to live a more empowered life. No amount of magick will ever excuse you from the trials of life. No amount of magick will ever excuse you from the trials of life. Spiritual maturity involves facing the facts. Yes- magick is real, but it is not a free pass. One of the reasons I prefer spelling magick with a K, is because real magick is so often confused with “magical thinking”. Magical thinking is characterized by the belief that thinking or wishing for something will make it so. It involves the identification of arbitrary patterns as omens and signs. If I wear my lucky socks, I will win the game. If I open this book to page 182, I will be rich. People, even self-proclaimed skeptics, do this all the time, because we don’t like to be caught off guard and crave a sense of control. Magical thinking does sometimes have enough of a psychological effect on the believer to elicit an internal shift, which can then provoke the desired effect in one’s outer experience. For example, wearing her lucky socks makes Phoebe feel more confident, therefore she plays a better game and does in fact win. That’s when magical thinking becomes magick. However- there is a point at which magical thinking becomes the tail wagging the dog, locking you into a world of superstition and paranoid thought that can seriously jeopardize your ability to engage life in a healthy, productive way. And really- why do magick at all if not to make our lives better? Magick should set us free. It should empower us to act on our own behalf at a moment’s notice in real time. It should not have us checking the astrological weather twice a day and thrice on Monday, reaching for our lucky rabbit’s foot every time we have to answer the phone, or worse- spending a dollar an hour on long-winded psychic consultations every time we have to make a minor life decision. That, to me, looks a lot like obsessive compulsive disorder, and that is not a fun place to be. It’s also a reverse form of Power Over. You are giving your power to an object, and that crystal, that rabbit’s foot, those lucky socks now have power over you. You can not succeed without them. Magick with a K is the art and science of creating change in conformity with your will. Yes- that change may begin with an interior shift, but it might also require some physical effort and the ability to engage the challenges inherent in that change. It is my deep conviction that you should be able to do this at will and of your own accord, using the innate power you already hold within. 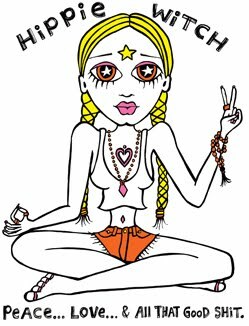 I am going to show you how to channel spiritual energy into everything you do while remaining centered and grounded in your body without the need for any outside assistance, props or accessories. You are a sovereign spiritual being, and staking your claim as such is your birthright. It is time now to harness your personal power in a way that serves your highest vision and honors your soul’s purpose. You are about to become the witch you were always meant to be. Taking responsibility for the kind of energy you put out there! Bettering yourseof so you leave a positive energetic footprint on the universe. Being for the good of all!